Franchising USA (July 2015) – Our Town America began the year with a projected goal of adding 20 new franchise units in 2015 and, after just one month, had signed six new franchise agreements – expanding their presence into a half dozen new markets across the United States. Since then, Our Town America has shown no sign of slowing down. Three week-long new franchise-training classes have taken place since January, positioning the franchise closer to their 20-unit goal. The commotion surrounding Our Town America, the nation’s ﬁrst New Mover Direct Mail Marketing franchise, can be attributed in part to their technological abilities and forward progression – proving repeatedly why they’re still the industry leader. The company began franchising in 2005 providing entrepreneurs nationwide with the opportunity to help new movers feel welcomed into their community, as well as help local businesses gain new loyal customers every month. In 2003, Our Town America announced their one-of-a-kind electronic survey, completed by thousands of new movers every year across the country, providing businesses with incalculable feedback on their product/ service. They familiarized the industry with electronic respondent lists and new mover loyalty programs and introduced social integration giving businesses the opportunity to increase social media page trafﬁc and drive revenue. Our Town America’s cost-friendly marketing program also includes a second follow-up mailer, a unique feature in comparison to similar franchise’s new mover programs. 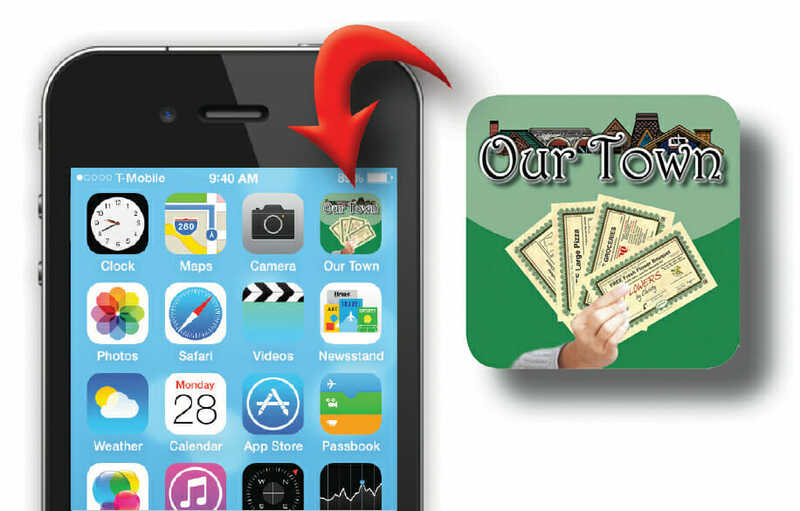 The second mailer is prompted by an automated system – a smartphone/ tablet app called Our Town TruTrak®, available on both the Apple Store and Google Play Store. Our Town America was the ﬁrst in their industry to offer response rate tracking by way of 2D barcode, which can be accessed through their app as well. Separate from their new mover program, Our Town America’s Intuitive Marketing program provides businesses with the ability to target particular demographics year round by way of customizable direct mail postcards. Special event mailings such as: birthdays, grand openings, etc. are supported by this program. In 2014, the franchise unveiled another technological breakthrough. Our Town America became the only new mover direct mail marketing program to offer postal carrier route targeting. The option to demographically focus by neighborhood, rather than full zip codes, is cutting-edge technology in their industry. The franchise is also a USPS Every Door Direct Mail® vendor allowing businesses to saturate entire neighborhoods without the need for a mailing list and, again, presenting the ability to target by postal carrier route. But it’s not only their ever-progressing technological abilities and continual growth that make this renowned franchise attractive. After 43 years of business, one thing that hasn’t changed is Our Town America’s dedication to their franchisees. The business model allows franchisees to work from home and be active members within their communities. Our Town America offers the largest territories in the industry and, with no need for build-outs, storefronts or inventory expenses – the initial required investment has landed them a top spot in the Franchisee Business Review (FBR) Low-Cost Report four years in a row. Rankings and recognition within the franchising industry also verify Our Town America’s spot as the leader in their industry. In January 2015, FBR revealed their annual Top 200 Franchises list and, for the tenth consecutive year, Our Town America was ranked a Top 50 Franchise – making them the only Advertising and Sales franchise in the ten-year Hall of Fame. At February’s IFA Convention, Our Town America was crowned FBR’s All-time Top Company – a pioneer for the award, which will be presented only once every ten years. And, while the franchise is ranked number two in the Under 50 Units category in this year’s Top Franchise report, this year’s new franchises have promoted Our Town America to 57 units – bringing the new mover program to markets in Alabama, Arizona, Colorado, Idaho, New Jersey, Ohio and Tennessee. Today, Our Town America can be found in 23 total U.S. states and, if their track record and technological capabilities prove just one thing, it’s that this franchise has no plan of regressing from their spot as the leader of the new mover marketing industry. Interested in Our Town America? Complete a Franchise Application or explore New Mover Marketing. Read article in Franchising USA July 2015 Issue, Pg. 20-22.